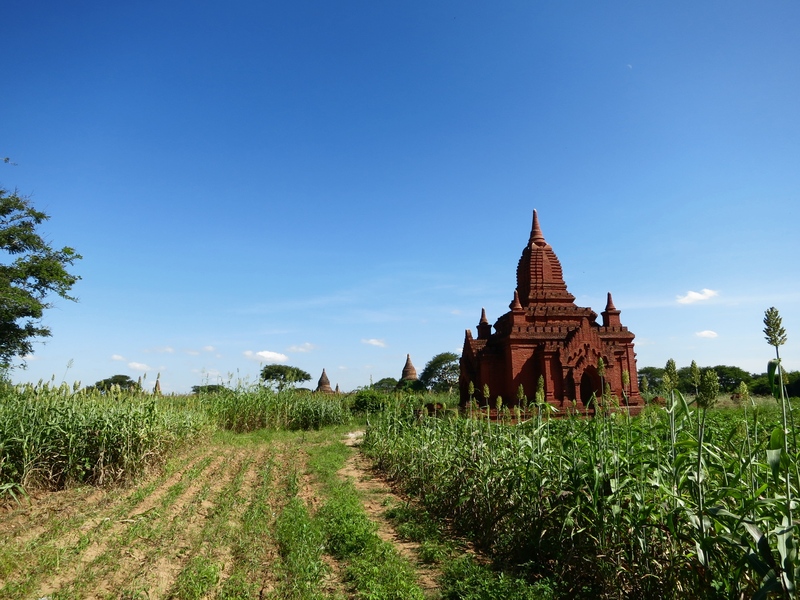 The best description that I had before arriving at Bagan was one that tried contrasting it to Angkor Wat. The monumental and expansive complexes of Angkor could be assimilated to a gluttonous feast that quickly satiated the appetite. Sometimes overwhelm it with intricate beauty, canopied jungle, and zoo-like crowds. 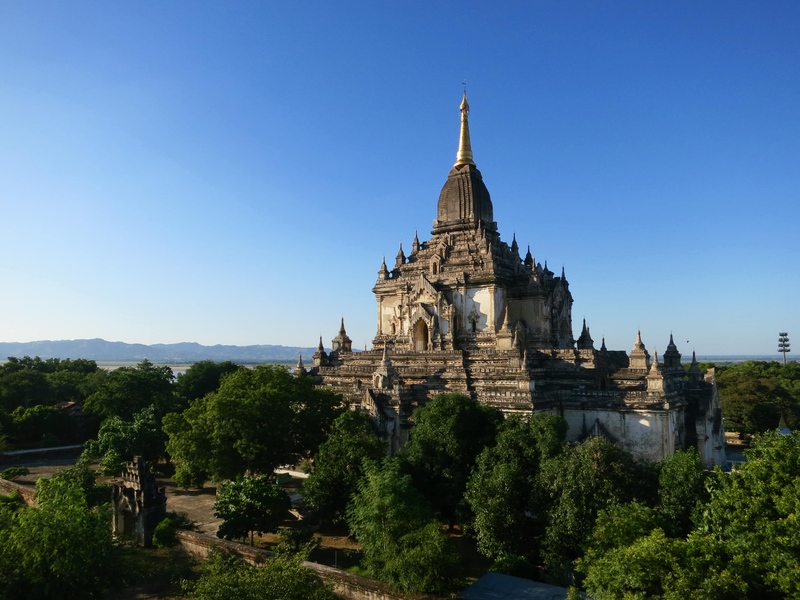 Bagan, located in northern Myanmar, was served in a different manner. Its expanse sprawled out over smaller servings like tiny plates of tapas. 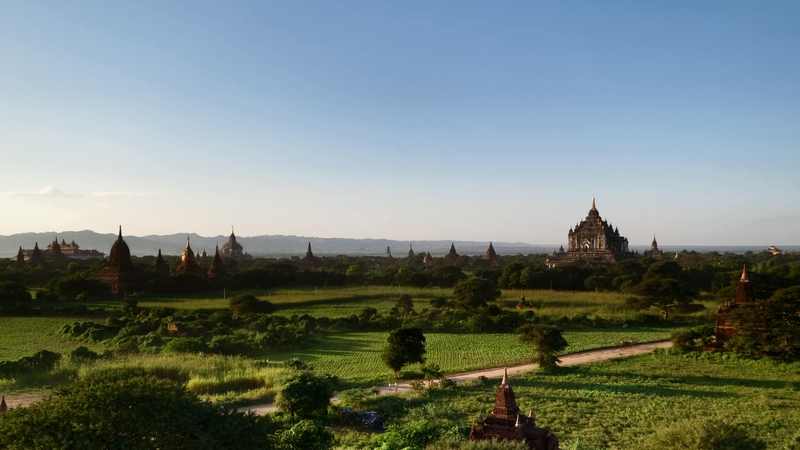 With over 2000 temples and stupas scattered across the landscape, the small doses came in tasty bites broken up by respites of cycling the lush savanna. 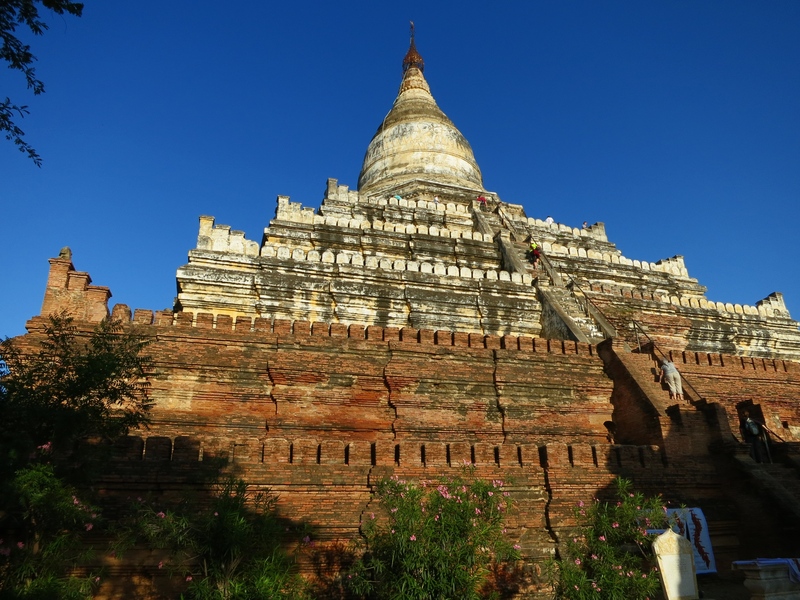 Bagan was my most anticipated destination of my 5 month journey in Asia. And yet, it stumbled into my awareness by complete surprise. 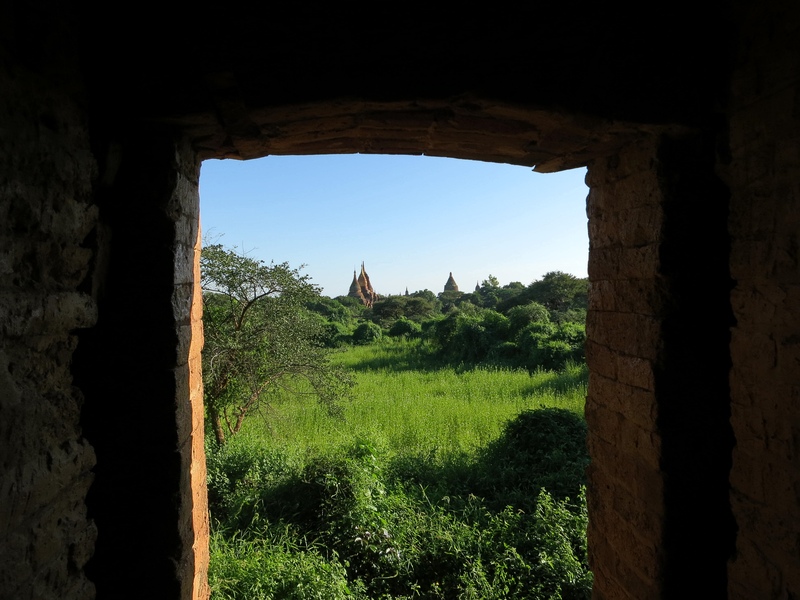 I arrived into the Bagan area via an overnight van crammed with monks and Burmese civilians. My usual “prepared, yet unplanned” style of traveling and booking a bed & breakfast at the last minute fared out poorly in Bagan. 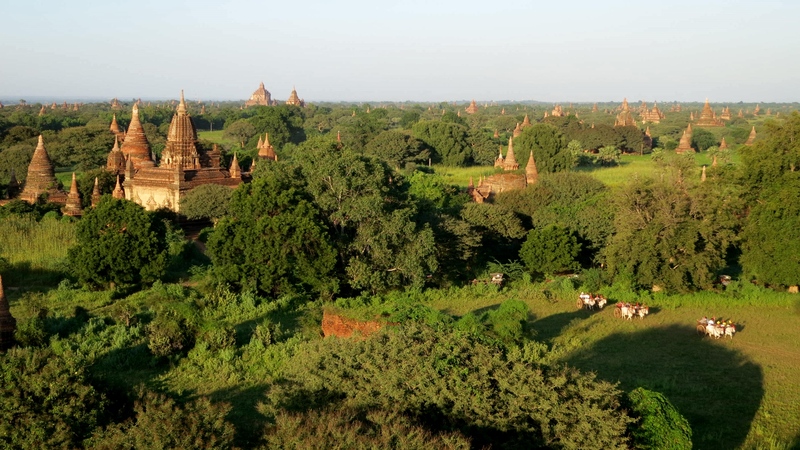 Little did I know that November was the busiest month for tourism in Myanmar. Luckily, the driver knew of one motel that had some availability. After a quick nap and light breakfast, I rented a bike and traced out a path on a map for my 3 day adventure in Bagan. I started to breathe easier as I cycled the dirt roads. After months of being on the road, visiting the next wonder sadly became a routine. But, Bagan would prove to unsettle that mentality. The dirt road continued beyond the town and in the corner of my eye I saw the first set of temples. 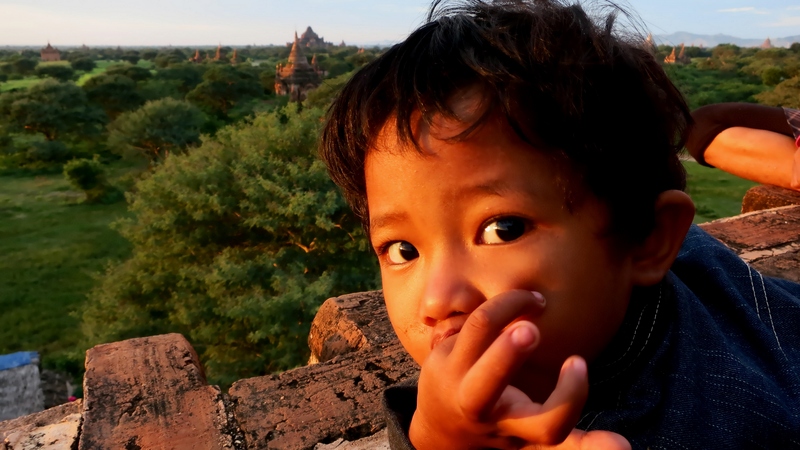 It suddenly hit me where I was and what Bagan had meant to me even before arriving in Asia. 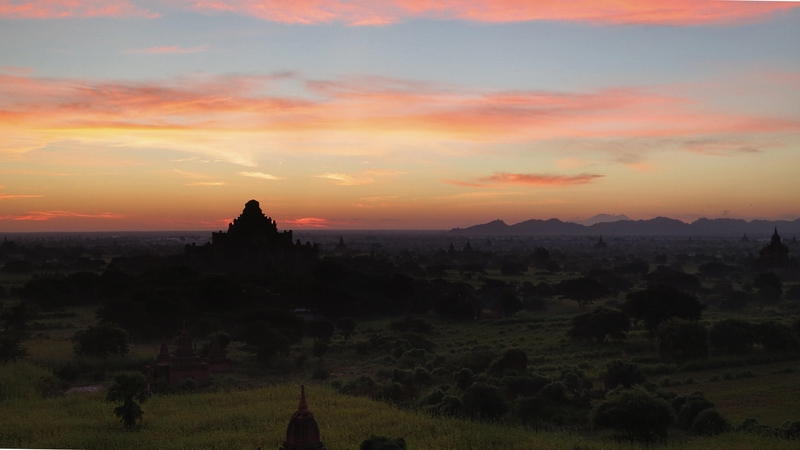 The massive kingdom of innumerable temples strewn across the plains of Northern Myanmar first caught my eye in the documentary Samsara a few years before. And I’ll confess, the attraction towards the destination was highly visceral coupled with the challenge of entering a country that was slowly breaking free from the ruling military junta. All the preparation, planning, and negotiations up until that moment on the bike were finally paying off. In Bagan, my cycle was fueled by elation. 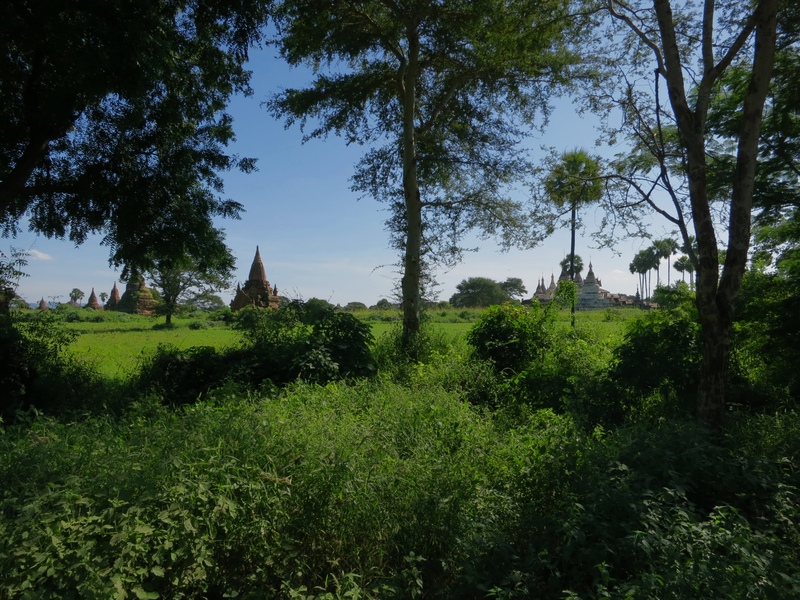 I climbed the first large stupa and took in the landscape. Continuing into the network of dirt roads connecting all the temples, I found myself alone within a vast tapestry woven together like a still yet magical carpet transporting me to another time. And then I saw the incognito cell tower. I laughed to myself while exploring into the late hours of dusk. 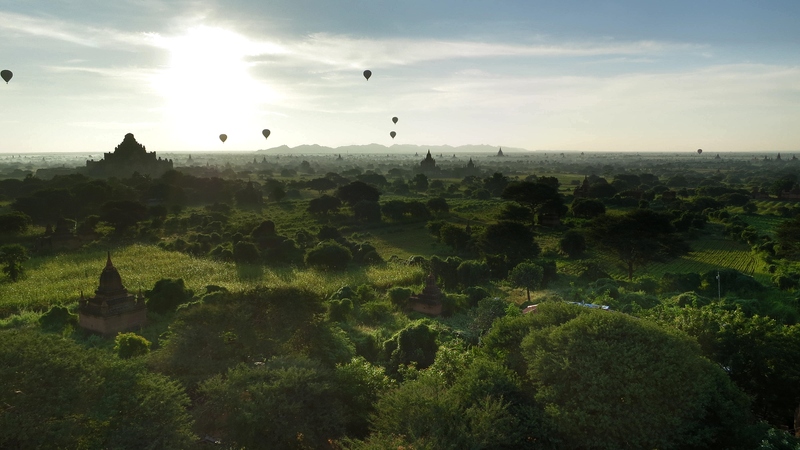 It felt like I had seen most of Bagan on just that first day, yet I was in for an unexpected treat. After the first day’s sunset, I had to see it all again at dawn. I took out the map again that evening and randomly marked a general area in the savanna that would hopefully have a temple I could climb and capture the rising sun. I was on the saddle again at 5am riding into dark tapestry awaiting to unveil itself. I reached the ‘x’ marked on the map and found an ideal temple with steps at the top, but no steps near the ground. I walked around and found a young girl unlocking the gate. She signaled to me that the steps were beyond the door. I climbed up and was transported again by the changing landscape. The next few days I found myself coming back to the same spot and getting to the know family that were the caretakers of the temple. I would enjoy the sunrise as a few of the kids would climb up and give me company. Thiri, who always opened the gate, spoke English really well. She told me about their living conditions and that she’s so far learned four languages at school. Hearing their stories was beyond humbling and kept me coming back to give them what I could… an extra cell phone, mosquito repellent, etc. But, the last day they in turn gave me something far greater. It was after sunrise and I was climbing down from the temple. I walked thru the doorway returning outside, turned the corner and found a table set up with a full meal. I was floored. 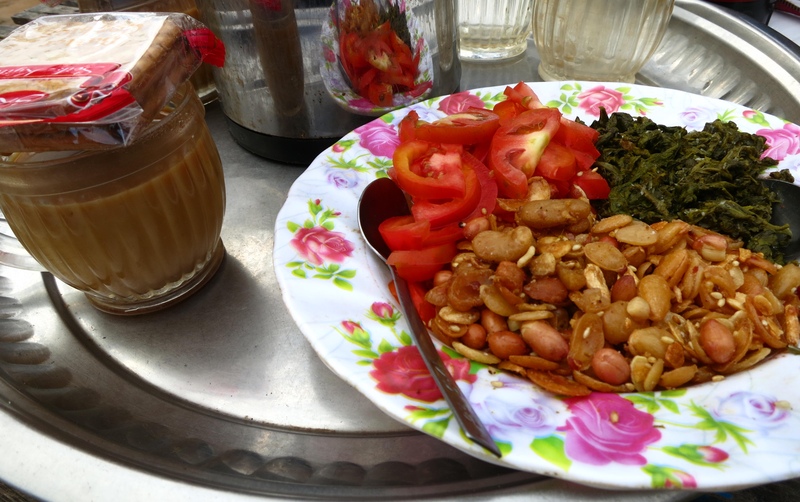 I walked over and found freshly made Tea Leaf Salad and Burmese Chai. Sharing that meal with Thiri, her mom, and siblings took me somewhere familiar yet quite far away – home. Somewhere I hadn’t been in ages. And, miraculously in that moment, on a brilliant morning on the plains of Bagan, I was back home.